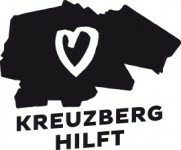 Do you want to be part of Kreuzberg hilft e.V.? We’re happy to welcome new members to our non-profit association! Feel free to fill in the form and send us an e-mail with any questions you might have concerning the membership.